MMT is exhibiting at Oceanology International for the 7th time. The event takes place at ExCel in London on the 13-15th of March 2018 and MMT will demonstrate the new version of the fast going survey ROV Surveyor Interceptor, now upgraded for UXO inspections. MMT launched the first version of the Surveyor ROV in 2014 at Oceanology International. Since then it has been working on some of Europe’s largest pipeline and cable route projects and has been developed in close cooperation with partners and clients. 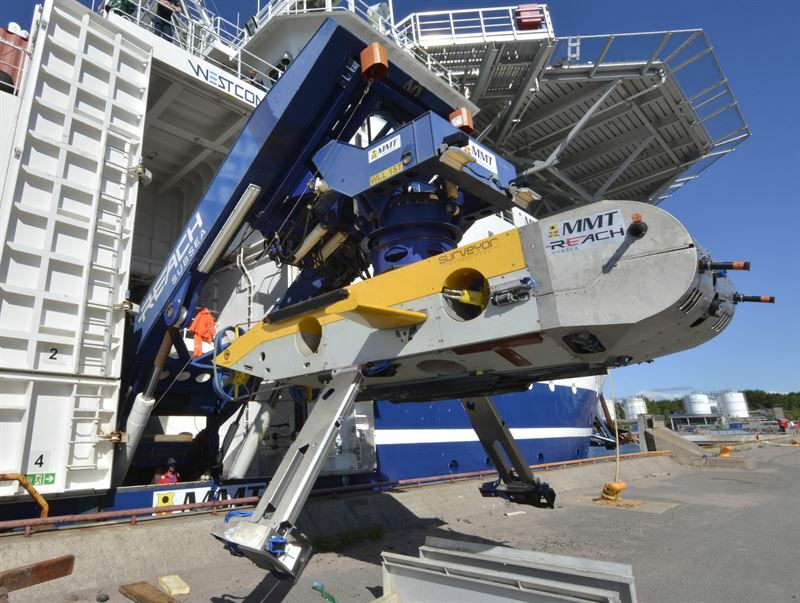 MMT will present the new and upgraded Survey ROV at Oceanology International 2018 and showcase its portfolio for being world leading in UXO detection and subsea pipeline inspections. At MMT’s stand F601 you will be able to listen to daily presentations, grab something good to drink and meet MMT’s sales team. MMT will also have a presentation about the upgraded Surveyor Interceptor 2 in the Trade & Innovation theatre at Oceanology International on Thursday the 15th of March 2018 at 12:55-1:15 pm.